Hi guys, once again we are introducing another one of our Design Team members… Sheena, from Luna Rozu is here today, to share her creation with you! 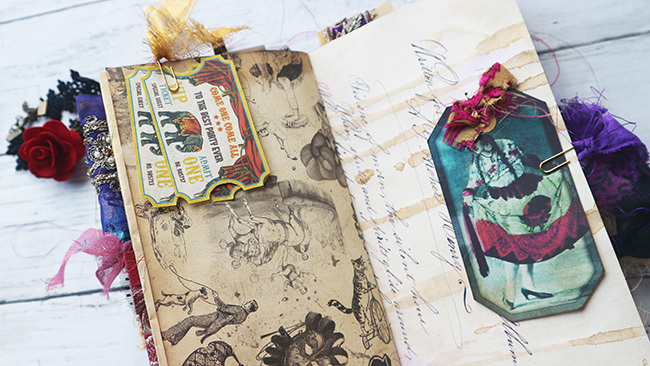 Each week we are featuring another Junk Journal, created by one of the Designers on our team. Each of the designers has been given the task of using images from our Premium Membership Site, to give you inspiration for your own projects. 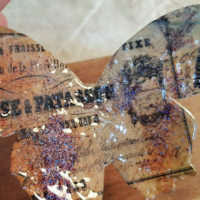 We are doing a blog post each week showing the photos of their finished journal as well as, Video tours of their projects. Are you ready to be inspired?! Hey guys! It’s Sheena from Luna Rozu. For this week, I’ll be sharing my design team project for The Graphics Fairy and boy, am I super excited! Presenting my latest creation, the ‘Fortune Teller’ – consisting of a traveler’s notebook and an envelope set. The circus theme is actually an idea I’ve been wanting to explore for a few months now and when I saw the ‘Dazzling Circus’ bundle from the Graphics Fairy Premium Membership site, I figured this is my chance! 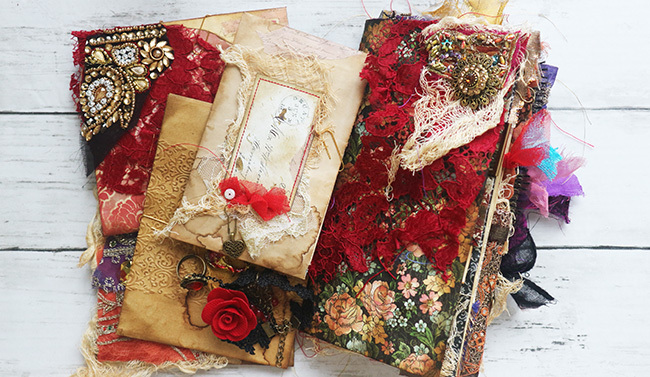 I decided also to combine both the circus elements and gypsy/boho theme because hey, who can resist including those gorgeous sari fabrics in their junk journals right? 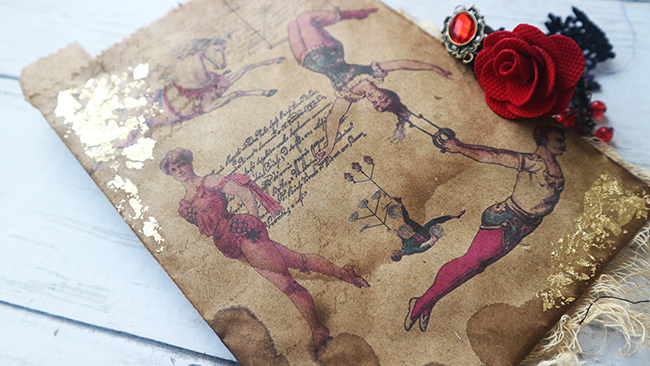 Apart from the abundance of sari fabrics used to embellish the journal pages in the traveler’s notebook, I’ve also chosen to incorporate prints such as the circus tickets (Dazzling Circus set) and gypsy tags (Vintage Gypsy set) to keep with the theme. 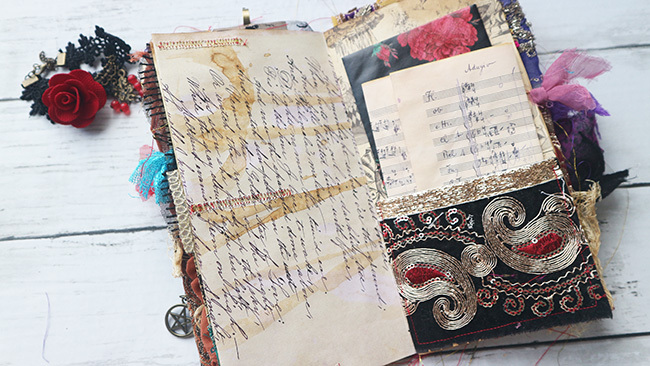 You’ll also find vintage script ephemera and music sheets to give the pages more texture to them. 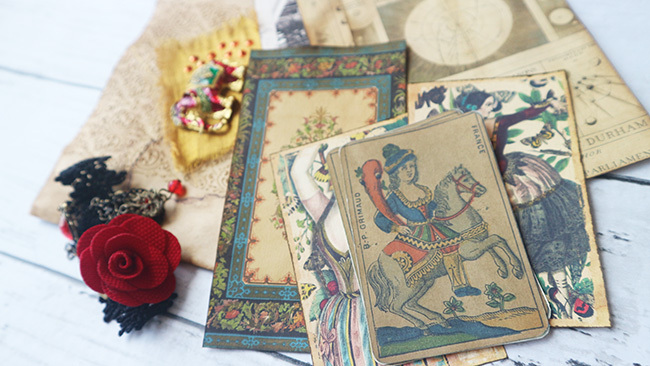 For the inserts in the envelope collection, I’ve included various images from the following sets: Vintage Gypsy Style, Heritage Wallpaper, and Celestial Images. Sooooo many to choose from – this was hard! 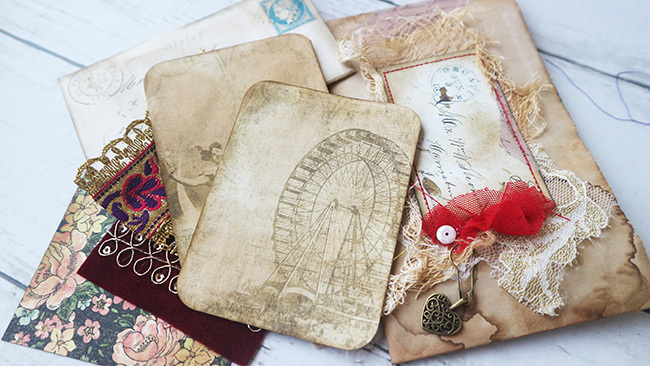 The vintage-looking paper bag in the collection however, is where I fully utilized the individual PNG files which is available in all the premium bundle sets. What I did was: I chose the images I wanted and collaged, resized the individual images on photoshop according to the size of my paperbag and finally, ran it through my printer to achieve this effect. Thanks for taking the time guys and I do hope you enjoy this design team project of mine. You can find me over at YouTube under Luna Rozu. Come say hi! In the meantime, have a great weekend everyone! « Stunning Vintage Silhouette Elegant Ladies at Tea Image! 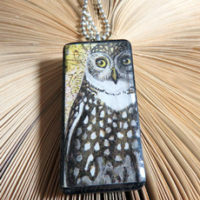 I’m in love with your journal Sheena! The imagery and all of the color and trims really captures the theme! Every page and embellishment looks like so much care was taken to put this all together. 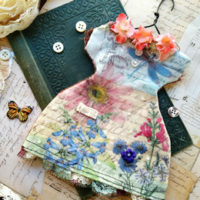 I just love all the distressing, stitching and trims. Beautiful! This is such a beautiful theme and your execution is spot on Luna!! I know just how difficult it can be to select from THe Graphics Fairy image collection.